How do I back up my phone contacts to other places for security considerations? Samsung Galaxy series has been the favorite of everyone, and it is inevitable that too many data have been created and stored in your phone, right? Obviously, losing all those important files from your Samsung Galaxy could be a "Disaster" or biggest nighmare. So, more and more users are looking for an effective way to backup data from Samsung Galaxy S7/8/9 to avoid losing data by accident. But how? Generally speaking, you can reach the goal through different ways, and today's post will guide you to learn them one by one. After viewing these 6 different Samsung Galaxy backup solutions, you can pick up the effective one as your daily backup tool, and then, you'll never worry about data losing on your Samsung Galaxy phone or tablet. Can't Miss: How to Recover Deleted Data on Android Phone or Tablet? Please be noted that our steps here are suitable for most Samsung Galaxy devices, and some of them are also working well on other Android devices. So, no matter you're still using your old S7, S6, S5, S4, or you have a new device like S9, S9 plus, S8 or other Samsung devices, you can follow the below methods to secure your Samsung data. How to Backup Samsung Galaxy S9/8/7 with Samsung Kies? 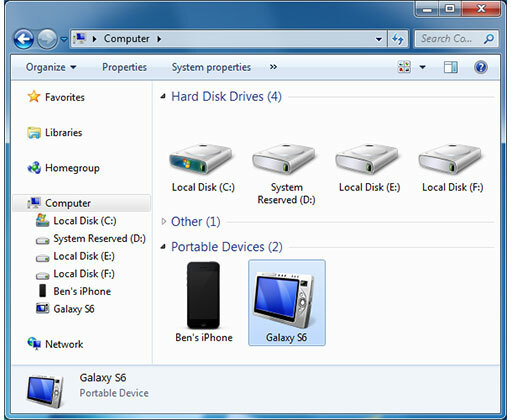 Samsung Kies is a desktop application from Samsung, which aims to help Samsung users to sync data from Samsung phone or tablet to computer. Of course, you can also use it to restore the backups to Samsung Galaxy as you like. So, if you're looking for a way to transfer data from Samsung to computer for backup, Samsung Kies could be a nice choice if you only need to backup. At present, Samsung Kies can help users to backup data like contacts, messages, music, call logs, photos, videos, etc. 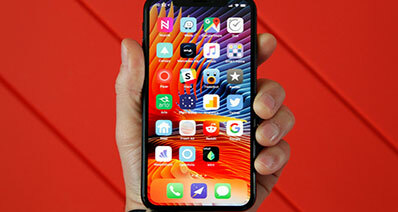 from Samsung Galaxy S9, S8, S7, S6 or other Samsung devices to computer or Mac. But when you need to restore these backups, you have no choice but to restore the whole type of files to the device, which may result in data losing due to overwritten. That's why lots of Samsung Kies users are looking for alternatives to Kies on the Internet. 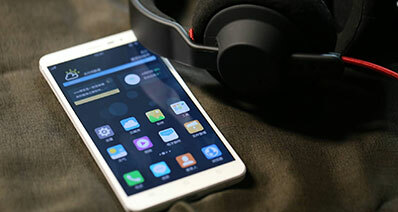 However, if you doesn't care this point, Samsung Kies could be an ideal way to avoid data losing. Step 1. Download and install it on your Windows or Mac computer, then connect Samsung Galaxy S7, S8 or S9 to the computer with USB cable. Step 2. Launch Samsung Kies and ensure your device is connected. Step 3. Click "Back up/Restore" tab on the top menu, and tick the option of "Select all items". Then, you can scroll to the bottom of the window and click "Backup" button to begin the whole process. Step 4. When the backup process is finished, you can click "Complete" button. This is the whole process of backup Samsung Galaxy to Mac and PC. But if you find the program is running slower or easier to crash, then, you can take the next solution into your consideration. 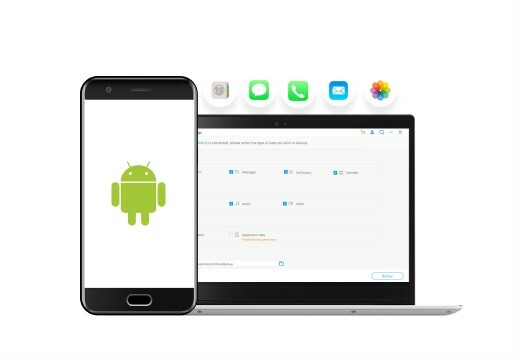 Download and install iSkysoft Toolbox on your computer and make sure your Android phone or tablet is well connected to the PC. Choose “Backup & Restore” from the app main interface. After you tap “Backup” above, the scanning process will begin and your data will be appeared and displayed on the window by different categories. Click on "Select all" if you want backup all the available data or only choose the items you need. After all that, please click "Backup". 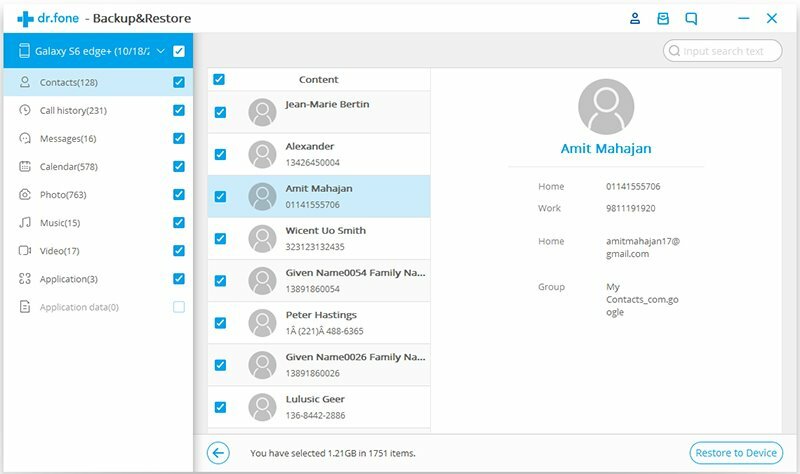 The program will display all the backup data that’s orderly listed such as contacts, call history, messages, photos, videos and more. Here you can preview and tick those you want to restore. 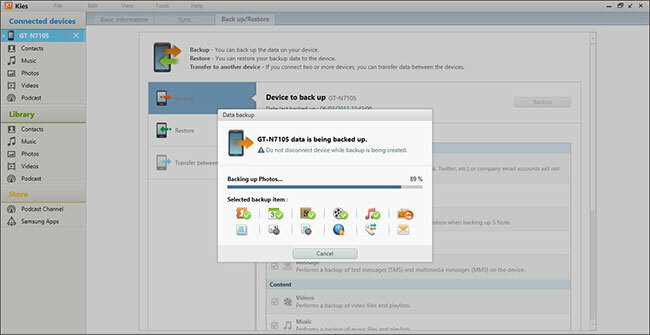 When the backup process is completed, click on "View the Backup" to preview the backed up data. Now, please tap “Restore to Device” and then click “Continue” at the screen below for restoring the data to Android phone or tablet. the iSkysoft Toolbox- Backup &Restore(Android) will start to restore the backup files to the original Android phone/tablet or to another Android device. 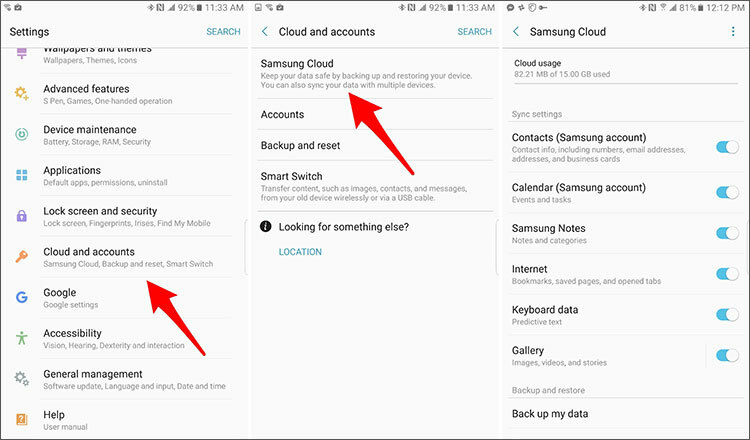 How to Backup Samsung Galaxy with Samsung Cloud? Now let's see the guide for Samsung Galaxy backup process. Step 1. Head to "Settings" > "Cloud and account" option by scrolling down and tap on it. Now tap on "Samsung Cloud". Step 2. You will be asked to sign in to your account if you haven't done it yet. Now, turn the sliding buttons on, next to each item you want to backup. 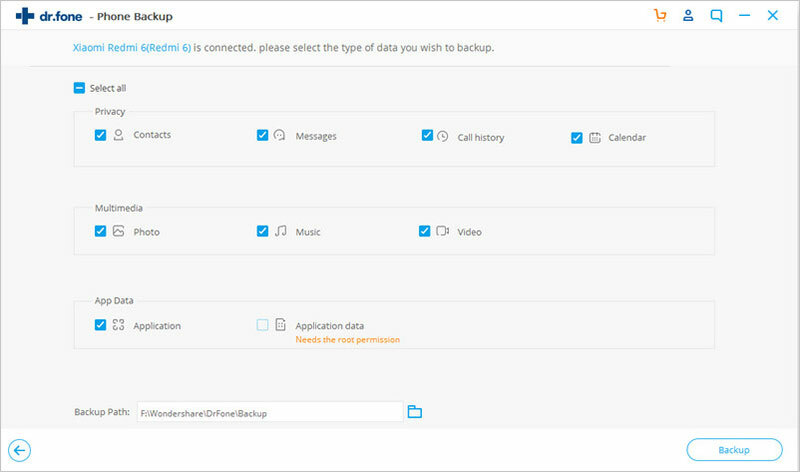 Tap on "Backup my data" to select more backup options like messages, photos etc. Step 3. Also you can click "MORE" button to search more settings like sync on or sync now. 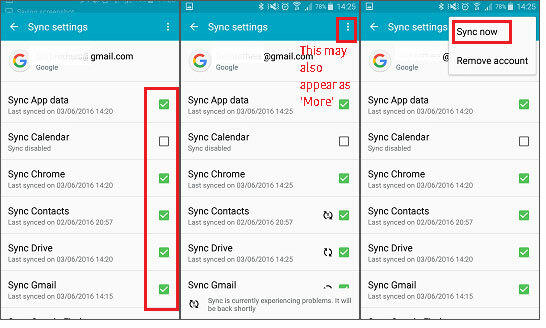 Select "Sync Now" if you want to sync immediately. Step 4. Tap on "Backup Now" option to start backing up your data. How to Backup Samsung Media Files with Copy and Paste? Copy and paste method is another way to backup Samsung tablet or phone data to computer. This can be regarded as the easiest way to save files from Samsung Galaxy to computer or Mac. However, it will not be the wisest way to do since it comes with a limitation. This method will allow you only to save your images, videos, music/audio, and documents from Samsung to Mac or PC. Therefore, this method will come handy if you want a backup of these files and you're in hurry. Here is how you can go for this process. Step 2. Double click on "My Computer" or "This PC" and you will find a "Removable disc" drive. Open it by double clicking. Step 3. 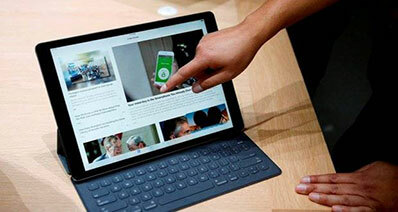 There you will find your files stored in the device. Select the files you need to save in computer. Subsequently, copy the files. Now create a new folder on the desktop and paste all the selected files in there. You can create as many folders according to the way you want. For example, different folder for music and different for photos and so on. How to Backup Samsung S9/8/7 with Google Account? You have learnt how to backup Samsung data or only photos/music/videos using Samsung cloud, Samsung Kies or iSkysoft Toolbox in your phone. 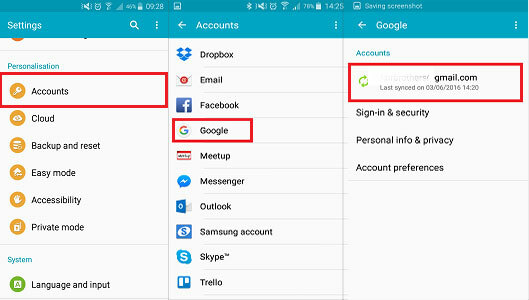 A yet another method to backup is to ask help from Google Account(Gmail account) in your Samsung Galaxy devices. 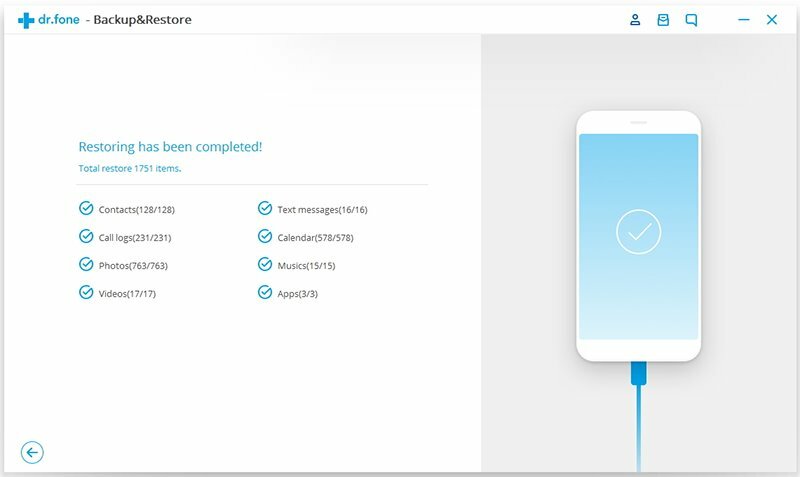 With it, you will be able to backup contacts, app data, calendar, people details, google drive, chrome, gmail, Google Fit, Google Play movies, TV and Music, Picasa Web Albums easily. Step 1. Tap on "Apps" to open the menu and go to "Settings". Step 2. Click on "Accounts" in the personalization section. Step 3. Select "Google". Go to your email address. Step 4. You will observe the file types on your screen. Select the box adjacent to the type of file to be backed up. Step 5. Tap on the three dots visible on the top right side of the screen. Step 6. Now look for "Sync now" and tap on it. 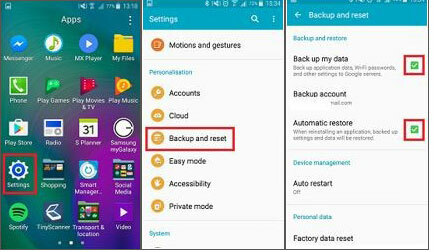 How to Backup Samsung Phones using Built-in Backup and Reset Function? This method involves some very easy steps to backup data on Samsung Galaxy S or Note series devices. Using "Backup and Reset" function in your device, you can backup Gmail settings, Google Calendar, Google Play apps, networks and passwords, wallpapers, Third-party app settings and data (app-dependent). Step 1. Unlock your Samsung devices, and find "Settings" on it. Step 2. Click on it and head to "Backup and Reset" by scrolling down. Tap on it. Step 4. Now tap on the box next to "Back up my data" to tick and make sure your data is backup. This is the all solutions to backup Samsung Galaxy S9, S8, S7 or other devices to computer or cloud space. Which method is your favorite one? Or if you have any other alternative ways? or you don't want to test these solutions one by one. You can directly download iSkysoft Toolbox- Backup &Restore(Android), and it will provide you with the best backup and restore experience on your desktop computer.